Based in Boulder, fiddler/singer/songwriter Katie Glassman is a Colorado favorite, known for both her instrumental virtuosity and musical expression. She is one of the country’s most renowned and decorated Texas-style and swing fiddlers–3-time reigning Colorado state fiddle champion, among many other honors. 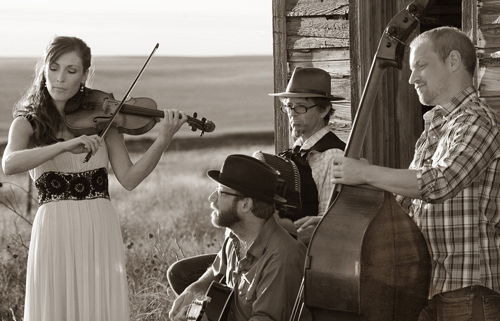 With the release of her CD Snapshot, Katie and her band have garnered a national following for their marriage of old-time Western music with contemporary songwriting and musicianship sensibilities. Her songs explore modern emotional landscapes with sensitivity and wit, while still drawing on traditional American music styles. She is joined by guitarist Joey McKenzie and bassist Gavin Kelso.